Halloween carnivals are supposed to be all fun and games, but when one of the school teachers is found strangled by a quilted table runner at the end of the night, Tess, bakery owner and amateur sleuth, is on the case. Between stalkers, small business rivals and neighbors whose hobbies clash with the victim’s, there is no shortage of suspects. Tess’s social life finally starts to take off as things get interesting with Jack and her good friend and employee, Lenny’s, wedding is only days away, Tess has got her hands full. Will she be able to catch the killer before he or she strikes again? Do you love Muffins & Murder book? Please share! 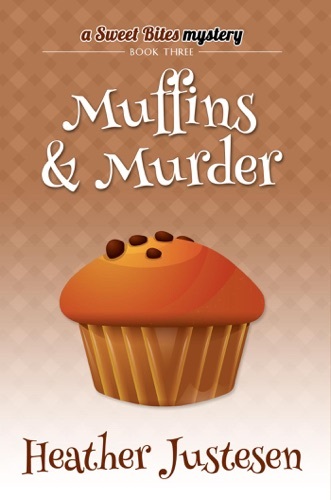 Muffins & Murder - Heather Justesen E-Book coming soon..